The NZT (which stands for “net zero toll,” a nod to its lack of emissions) should tackle trails and hills with ease thanks to 35-inch tires and a motor at each wheel. But drivers won’t have to get dirty or sweaty along the way. The cabin can be completely sealed off from the elements, and features an HVAC system for heating or cooling your drives. The NZT also has a 7-inch instrument cluster and a 13-inch portrait-oriented display in the dash (both IP68 waterproof) that can be updated via over-the-air software updates. 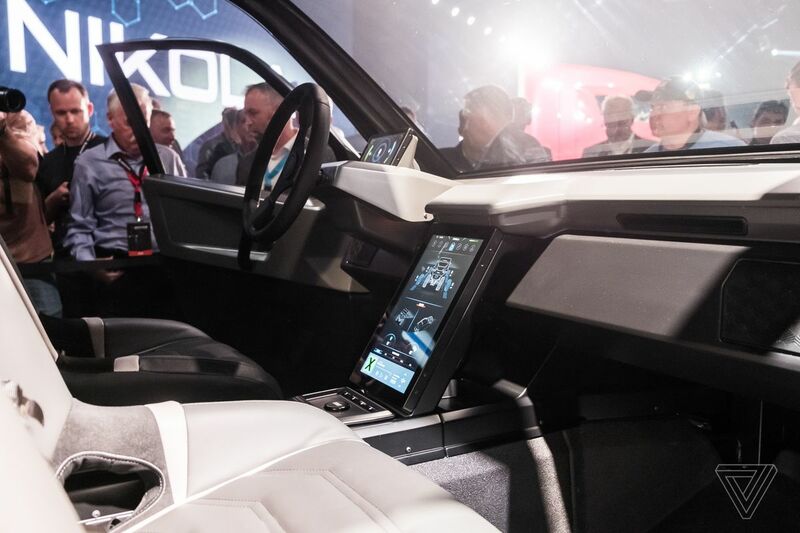 With this much tech, it’d be easy to mistake the NZT’s interior for a tiny Tesla. 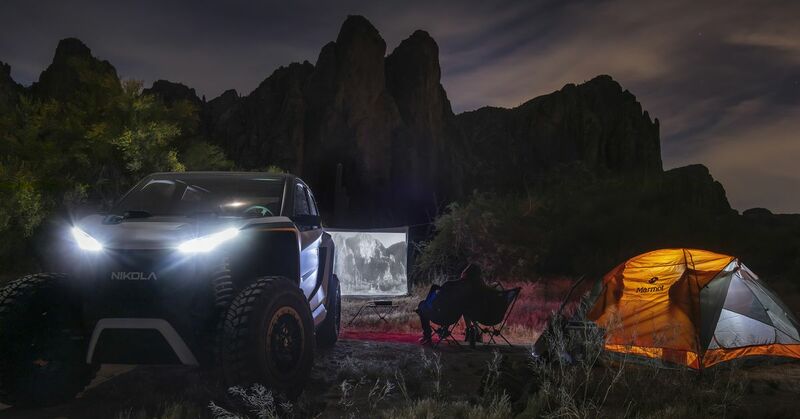 That said, with up to 590 horsepower on offer, it’s hard to imagine owners paying much attention to the screens during drives through the desert. Nikola claims the NZT will go from 0 to 60 miles per hour in 4 seconds, and owners will apparently be able to take that supercar speed pretty far, too. The NZT will travel up to 150 miles on a full battery thanks to a fat 125kWh pack, according to Nikola’s website. On top of that, it features a 3,000-pound towing capacity, and can spend 30 minutes in up to a meter of water. One reason to believe in these bold claims is that the NZT Nikola showed Tuesday night was the culmination of years of work. 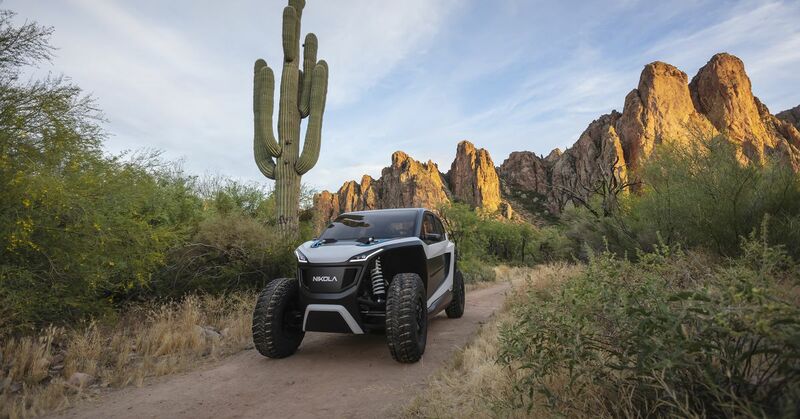 The company has repeatedly teased prototypes of its off-road vehicle, and the NZT just happens to be the version the company decided to try to bring to market. 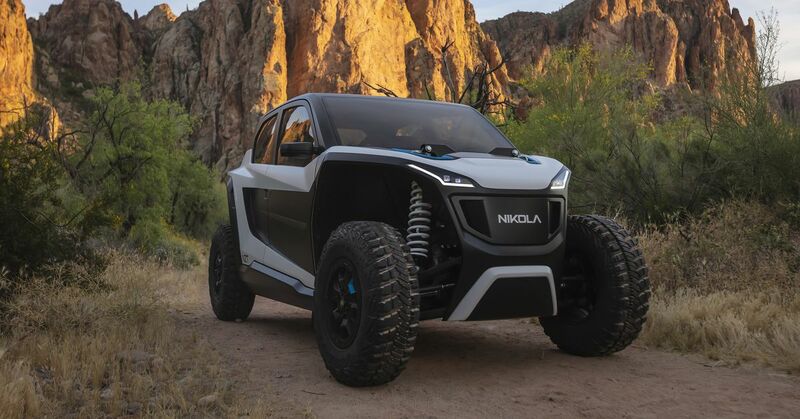 Nikola is also developing a similar off-road electric vehicle for military purposes. A lot of work has gone into the design and engineering of this vehicle. The price of the NZT will be a major barrier, but that’s part of the plan to begin with. 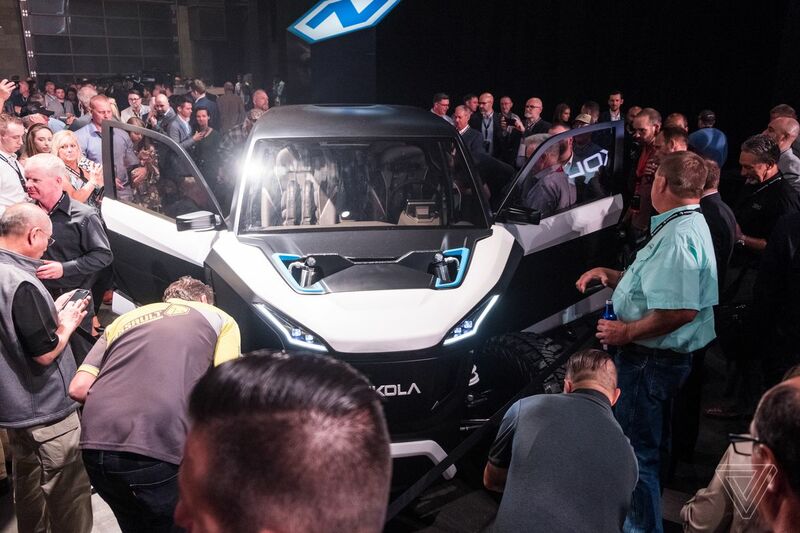 Nikola’s executives said in a press conference after Tuesday night’s event that the company’s big business will be the electric big rigs — no surprise, considering the startup already has billions of dollars in commitments to those trucks from companies like Anheuser-Busch. 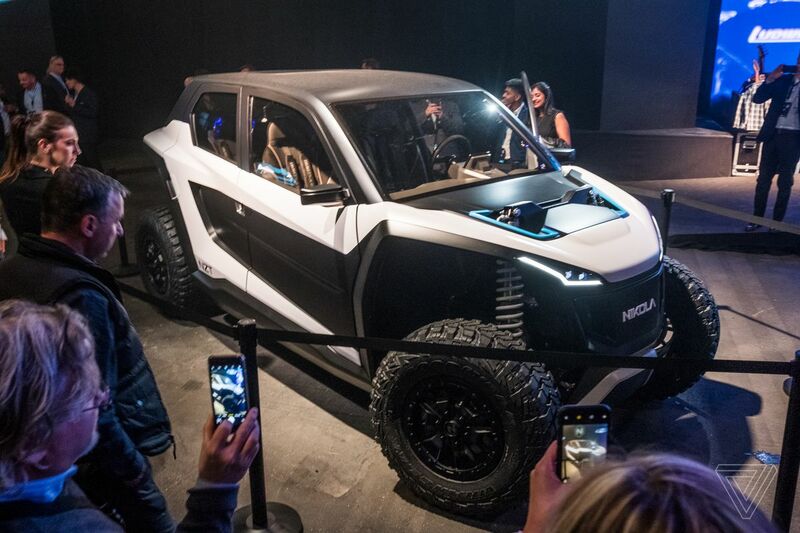 Just like the other more direct-to-consumer product Nikola announced in Arizona, the Wav electric personal watercraft, the NZT will exist at the fringes of the startup’s business.